MINIs will transport athletes and officials around London during the 2012 Olympics under a £40 million November 17, 2009, agreement between BMW and the London Organizing Committee. BMW will supply 4,000 standard vehicles and showcase some electric vehicles at the Olympic Park. How about this 1951 Crosley Hotshot Vintage Racer available in San Jose, CA for $9,850 with spare engine and transmission? Totally clean and restored. Audi has no plans to offer the new A1 in the US, however, just like for the MINI, a multitude personalization options will be available to buyers. The Audi A1 is based on the VW Polo with 1.2 L and 1.4 L engines that make 75 hp and 105 hp, respectively. A convertible edition may also be on the horizon. Where Have We Been For The Past Two Weeks? We just got back from a two week diving vacation in Cozumel, Mexico which explains our hiatus from NorCal MINIs website posts (Email us if you want to see the vacation pictures.) So what has happened in the world of MINIs over the past two weeks? Fifth, edmund's inside line told us what is new for MINI in 2010 - They all come standard with a multifunction steering wheel with cruise control; Mayfair and Camden packages are available for the MC and MCS hardtops; there is an optional Harman-Kardon system available; the JCW Convertible costs $250 more than last year, the Cooper and JCW are $300 more, the MCS, MCS Convertible and Cooper convertible are $400 more, the Clubman and Clubman S will cost $250 to $400 more; and MINI-E production will end with the 2009 model. Finally, Autoblog has started a rumor based on Spy Photos and reports that MINI is experimenting with "hotted-up" prototypes of a MCS and MINI Clubman S diesels. Oh, and don't miss this tongue-in-cheek post about MINI over at Meta-cars. You should also check out Tara's photos from NorCal MINIs Goes Umigo Kart Racing. Looks like the event was a blast! We want to also congratulate Larry and Tami on their new grandchild - sure to be spoiled rotten. We will see you all at the December 12, 2009 Holiday Lights Tour & Toy Drive presented by NorCal MINIs and MINI of Concord. This is one you won't want to miss! Bring new unwrapped toys for Children's Hospital of Oakland and get a great festive home tour and MINI of Concord Winter Wonderland. The event starts at 5:00 p.m. at MINI of Concord Collision Center, 1967 Market Street Concord, CA 94520. Invite all your friends and family. This one is not limited to MINI Owners or adults. Come Monday we should be back to our regular posting schedule. Right now we are still unpacking. Hope all had a great Turkey Day and a lucrative Black Friday. Join NorCal MINIs and MINI of Concord on Saturday, December 12, 2009 for our Holiday Lights Tour and Toy Drive to benefit Children's Hospital of Oakland. Please bring an unwrapped toy as your entry ticket. Everyone is invited. This is not limited by age or MINI Owners! All donations must be brand new and in their original packaging or with the original tags on. Your tour group will be escorted by MINI Holiday Helpers to some of the most festive homes in the East Bay. Then we will enjoy a Winter Wonderland at MINI of Concord, where they will be serving Beverages and warm goodies to refuel all you merry-makers. Once everyone is warmed up, get ready for the Rock Band Contest and take a picture with Santa and his special sleigh! Don't forget to reserve your tickets to see the Elephant Seals at Ano Nuevo State Reserve by November 25th. The run is on Jan 23 2010 Details in the left hand column. (from MOTORING FILE) Recently MINI revealed to us some insight into the current MINI E field trial program. We got to drive the car (a review is coming) and we talked about some of the insight that they have gotten from the program launched earlier this year. 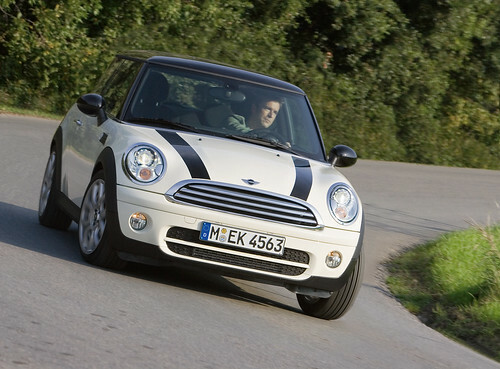 There is little question that the MINI E field trial was a bold move for BMW. It was designed to give the automaker valuable data and feedback on a large scale roll-out of electric cars among other things. 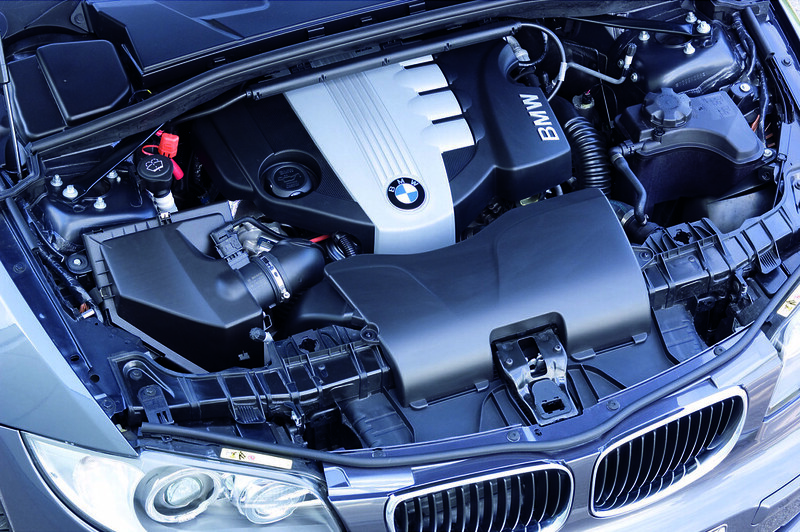 It also placed BMW in the electronic infrastructure business – something that was expected but still uncomfortable for the German manufacturer. Some of the bigger issues MINI USA has had to deal with revolve around the plug design and installed the home charger. For one a worldwide standardization of connectors does not currently exist. 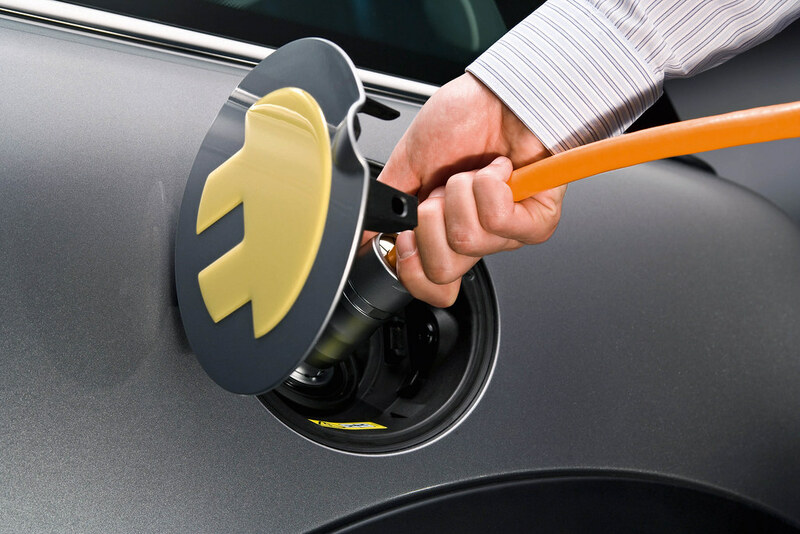 The connector used on the MINI E was not compatible with previous generation chargers so it made installation of new equipment mandatory. On top of this the entire process required timely installation by electricians and checks by local inspectors. And of course local laws and permits needed varied greatly. Some areas where MINI found issues around where fleet customers not working with MINI to determine charging locations quick enough. Also there was the issue of post-installation troubleshooting and who pays for that service visit. We know . . it's in Pennsylvania.
. . . and here's how you shift them. Need MG Or Healey Parts Or Memorabilia? On University Motors in Ada, Michigan died due to the Michigan economy. It was in Ada for more than 34 years, offering service, advice and friendship to the MG community. Because they have gone under they are liquidating via auction. Up for auction will be office equipment, shop equipment, tools, books and literature, MG memorabilia, new parts, used parts and miscellany from MG keyfobs to MG posters, MG watches to MG pictures, MG pins and patches to MG signs, MG buttons to MG banners, MG models, pens, ashtrays, and playing cards to MG mirrors. This is a lifetime collection of MG memorabilia and things octagonal. In addition, items from BMC, Jaguar-Rover-Triumph, Lucas, SU, Lockheed and a number of car clubs will be included. The items may be viewed here. The auction will be held November 21, 2009 via the internet by Vander Kolk's Golden Gavel Auction Service. Here, let former University Motors owner John Twist explain it all to you. MotoringFile advises that it has "heard from very high level sources that BMW North American is currently not planning on importing any flavor of MINI diesel for the foreseeable future." Introduction of the 1989 Rover Mini 30 Special Edition by Twiggy. 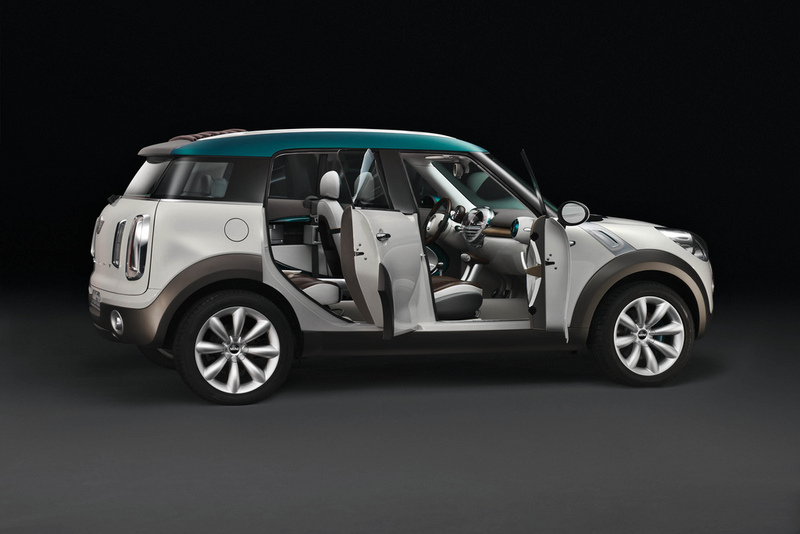 MotoringFile confirms that, depending on the market, the MINI Countryman will have four seats with an optional five seat configuration. 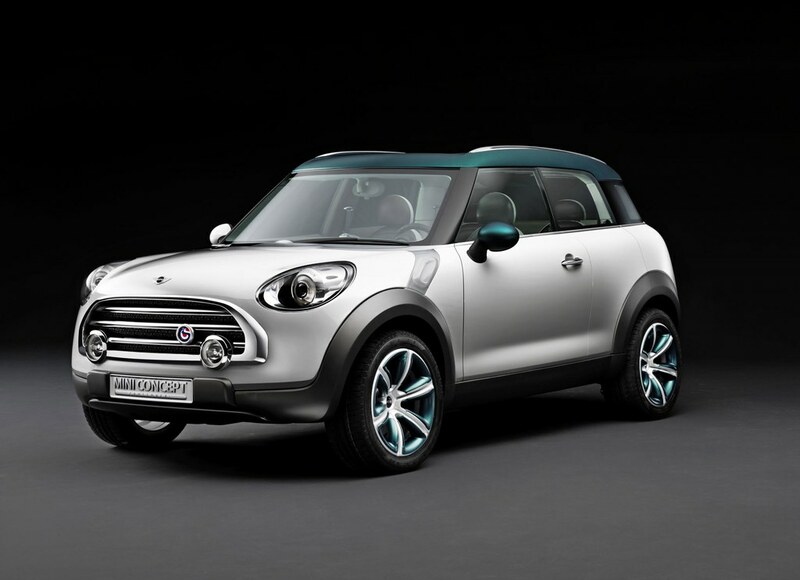 MotoringFile reports that, although MINI originally intended to release the Countryman in the US in early 2010, it has now been delayed until late 2010 at the earliest and could pushed back to early 2011, due to the present economic climate. Michael Schumacher's 1994 Benetton B194 in which he won the 1994 Formula One World Championship. Bidding is at about $3,000,000 and there are still over five days to go on this German listing. If you need more information before you make your bid Automotive News reports that eBay now offers for all vehicles built since the 1981 model year listed for sale on eBay vehicle history reports from Experian Automotive at no cost to vehicle buyers or sellers. According to Car and Driver, due to the initial problems experienced by MINI-E leesees Richard Steinberg, manager of Mini electric vehicle operations and strategy advised that MINI is considering extending the MINI-E leases to keep its customers happy and to keep the cars on the road long enough to collect the amount of data MINI needs for the experimental electric car project. There are the bar stool, barca lounger and video game vehicles. Now there is also the snooker table car from the same designer that brought us the condom bike. This is so wrong on so many levels. Garnet Hertz of the Pasadena Art Center College of Design is turning this arcade cabinet into an actual running car that renders on-screen what's happening in real life using GPS sensors. The GPS sensors from an iPhone are to be combined with software to map what is in front of the vehicle and then the simulated reality is delivered to the screen. Here is a video that shows how it is supposed to work. We still prefer the low tech windshield. This beast was at 2009 SEMA. This is all it takes to squeeze 750 horsepower out of a MINI - "an upgraded turbocharger, larger diameter piping, custom manifolds and as much go juice as possible being squirted into each of the four combustion chambers." 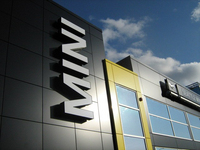 Join NorCal MINIs on Saturday, November 21, 2009 when we go cart racing at Umigo in Livermore, CA. Meet up at 10:30 a.m. Starbucks at 1197 E. Calaveras Bl., Milpitas, CA. Here's the pre-race run map. Racing will be followed by a 2010 NorCal MINIs Planning Meeting. Be sure to bring your events ideas for next year to the meeting or transmit them to info@norcalminis.com before the meeting so that they can be put on the meeting agenda. Seems to us that there are just too many companies converting regular cars into limos. Jalopnik highlights ten of the most obnoxious (or awesome depending on your view) including this 1,000,000 Swarvoski crystal modded Mini Cooper. Racecar driver Michael Schumacher and bartender Salvatore “The Maestro” Calabrese show why drinkling and driving don't mix. Here are the Official Rules. Now available in glove-compartment size! HowStuffWorks tackles the question and provides pointers on how to keep your engine going for hundreds of thousands of miles. Don't worry. cnet's cartech blog provides this highlight reel from edmund's inside line. the interior's plastic-fantastic controls need work. The 2010 MINI Cooper/Convertible runs the gamut from smart econobox to thrusty sports convertible-all with unmatched driving feel and expertly interpreted styling heritage. The 2010 MINI Cooper Clubman has the right heritage and styling cues, but its crazy-quilt controls and cockpit styling look better than they act. A big-bodied extrovert, the 2010 MINI Cooper Clubman's the most desirable MINI for anyone beyond their single stage of life. Presently being offered on eBay is this 1963 Austin Cooper S that competed in the Monaco Rally Historique in 2002. The full race 1275cc engine has twin SU’s with TR4 filters and a 12G940 cylinder head. The transaxle has straight cut gears and a Salisbury 3.9 limited slip. Dual fuel pumps are switched individually for redundant Lucas protection. Not really a road car but a true rally vehicle. Bids start at $29,995.00 and the auction ends soon. A half ton pickup abomination from SEMA. Stuff the SoundRacer into the lighter socket of your Smart and enjoy the powerful sounds of your choice of a V8 or V10 engine through your FM radio for only $40.00. Although MINI sales were up only 3% in the US, in October worldwide sales increased 11.1%, according to BMW. In fact, globally, the MINI Convertible was up 336.1%. Sales of the Hatch and Clubman versions of the MINI One increased 91.1%. Percentage sales increases were impressive for Brazil (224.8%), China (81.0%) and India (55.9%). Even the UK posted at strong 34.8& sales increase. For the year to date, however, MINI sales are lagging 14.0% behind last year's sales to date. Check out all the photographs at zuzutop.com. A little much don't you think? 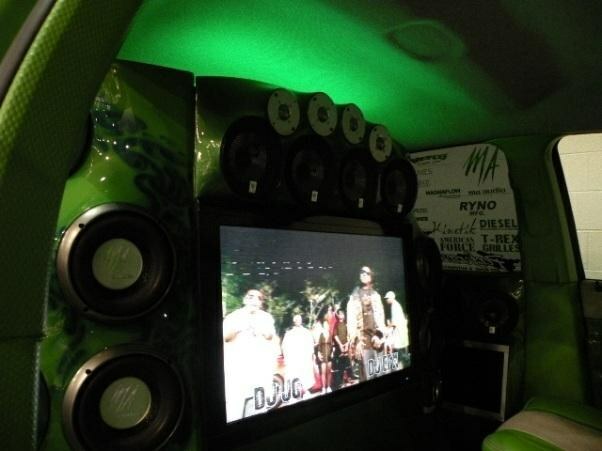 Here's an interesting idea - a complete car wrap for only $1,000 to $1,700 with up to a three-year warranty. It even preserves the paint underneath in pristine condition should you later desire to remove it. The design possibilities are endless. 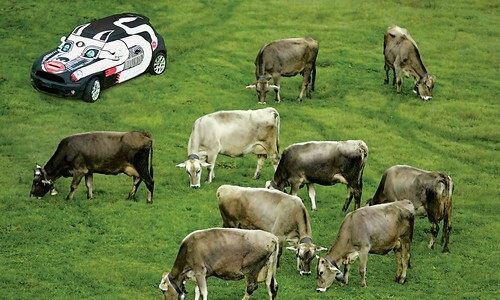 Check out the photographs at autoblog. At SEMA they wrapped, stripped and rewrapped a Mustang and a Scion xB each day based on designs attendees created on computers at the stand in their booth. From a partnership between MINI STORE Perpignan in France and the association of artists called THE KZARTS comes this unique copy of the MINI in resin at a 1:1 scale! The perfect gift for the rug rat in a Mini owner's family. 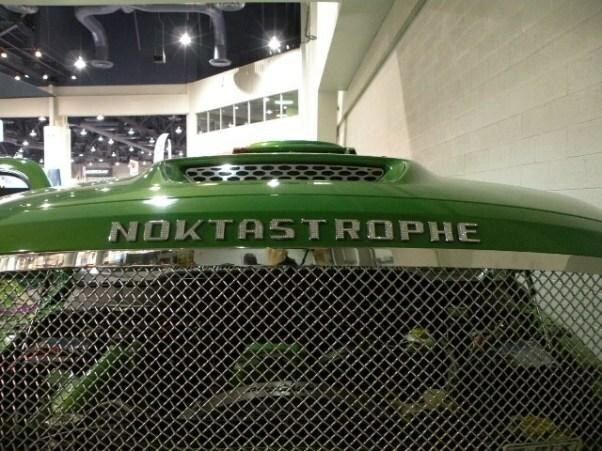 You may gawk at Jalopnik's Photo Gallery. Hosted by MINI5280, MINIs In The Mountains (MITM) 5 will take place August 12-15, 2010, at Winter Park Resort, Colorado. Check out the MITM 2010 website for schedules, and reservation and update information. 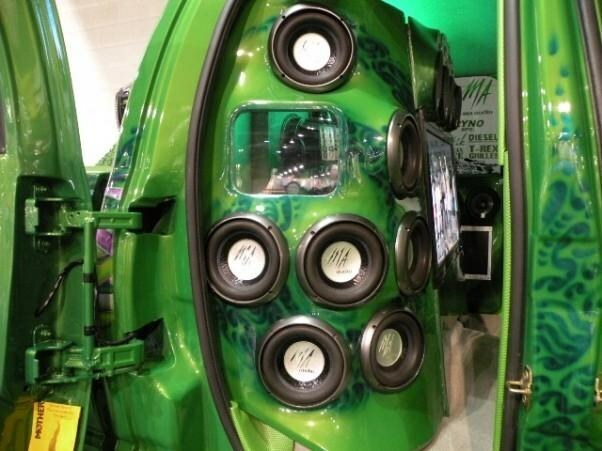 Want Your Prius To Sound Like A Ferrari? Lotus and Harman Kardon have an app for that. edmund's inside line takes Michelin Pilot HX MXM4 all-season tires, Michelin Pilot Exalto PE2 high-performance summer tires, both in size 215/45R17, and Michelin Primacy Alpin PA3 snow tires on a Honda Civic Si and ran them on snow, rain and dry pavement. Check out the article for some very enlightening results. 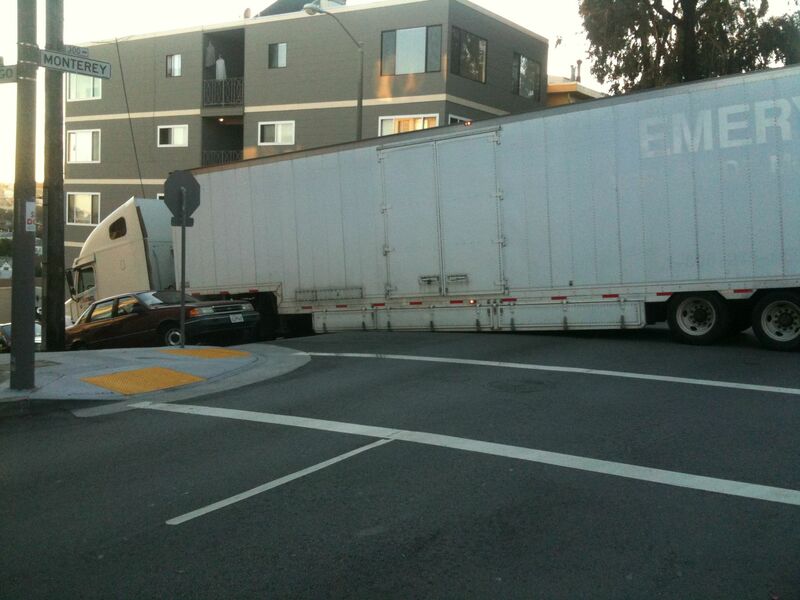 Some people can't parallel park - like this woman. You Know What It Feels Like To Be Chased By A Helicopter In Your Lambo?
. . . in the name of art. You may ask "What is Seafoam?" but, many swear by it to keep their engines in top condition. Here's how you do it on a R56 MINI.
. . . and shows it in this video. MINI USA celebrated the Grand Opening of its second dealership in Washington yesterday. 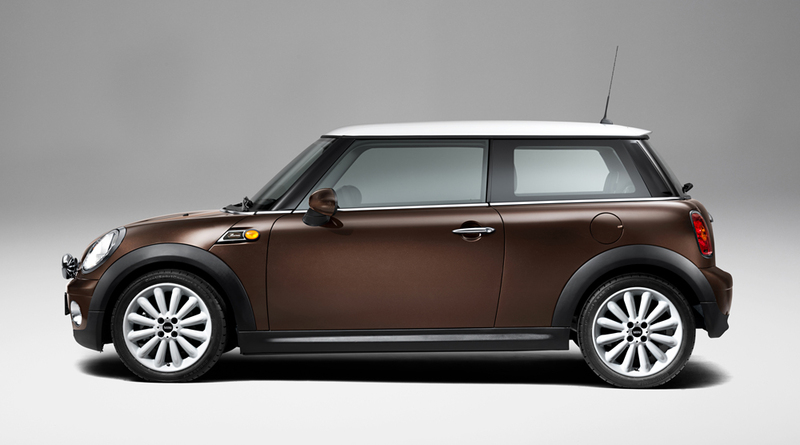 MINI intends to expand its dealer network by 20 percent over 2008. The dealership is located close to the University of Washington, just six miles from downtown Seattle, in a renovated facility. Seattle is one of the top twelve MINI markets in the U.S. Seattle MINI has selected a Motoring Hearts Partner, the Seattle Chapter of Cystic Fibrosis Foundation (CFF) that will receive monetary donations from the dealer at today's gala opening party. All gala attendees will receive a coupon that can be presented during a new car purchase before December 31, 2009. For each coupon, Seattle MINI will donate $200 from the purchase to the Seattle CFF chapter. A Motoring Rally is also planned for the spring to continue Seattle MINI's support for CFF. Awesome or ugly? Comment below. MotoringFile has more coverage on the Wash Me! project including the announcement of a limited edition art book based on the project. It has also posted a great photo gallery. MiniWorld reminds us that International Mini Meet 2010 will be held in Germany by the Fan Club Mini Bavaria in Neumarkt in der Oberpfalz May 21 through 24, 2010. The official IMM 2010 website is now operational and an unofficial IMM 2010 on-line forum is now available. Jalopnik writes about Ford's new inflatable seatbelt - it is not an airbag according to Ford - for children and the elderly that evenly distributes the force over a larger surface area. Amazing. Simply Amazing. One dares to wonder what would have happened with an earthquake or sonic boom. MINI Trademarks "MINI Center Rail"
worldcarfans.com reports that MINI has applied for a trademark for the terms "MINI Center Rail." The MINI Countryman when in crossover concept form had a so-called "universal, multifunction fastening rail," that was supposed to provide innovative storage space, while allowing front passengers to pass items to rear passengers that MINI referred to as the MINI Center Rail in its press release at the 2008 Paris Auto Show. In this cnet report from SEMA cnet salivates over the the EcoRoutes ESP module for Nuvi navigation devices. The module is a small hideaway box that communicates with Nuvi units via Bluetooth and connects to (and is powered by) your vehicle's OBD-II diagnostics port. The device gathers information about your vehicle's performance and relays that info via a Bluetooth data connection to your Garmin Nuvi GPS device atop your dashboard. Using the Nuvi's touch screen there is a set of customizable gauges, the ability to view and clear fault codes when the Check Engine light comes on, and the ability to monitor real-time fuel economy and emissions data. It also data logs to track performance and interfaces with the EcoRoutes software that's already present on current Garmin devices. Earlier this week we reported on the Wash Me! project which attempted to answer the burning question "What happens when 10 different artists are each presented with a MINI to deface (design?)" Here is a video of answers. Want To Race This Mini? This is what you get when you drop a Corvette V8 in a Mini. BMW Chairman of the Board Dr. Norbert Reithofer said in a speech at Hauptversammlung 2009 that a MINI-E test program is scheduled for France. No dates were announced for commencement of the program. Check out this video of Mini and MINI crashes. 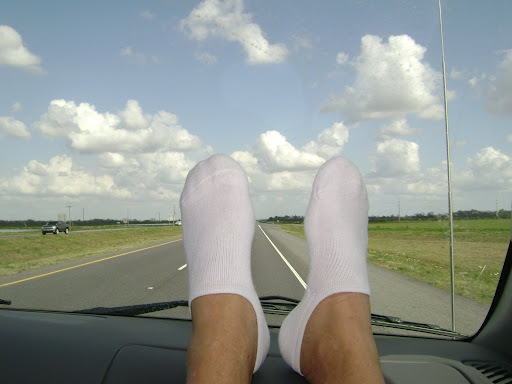 Pay particular attention to the passenger compartment after each crash. You will notice the lack of significant deformation. That saves lives. After you are done watching you will want to go hug your Mini/MINI. It is anticipated that MINI will bring its full line of vehicles to the show. However, there is no word (yet) on what Concept vehicles will be there. MINI is known for its whimsical and innovative booth designs and recently has held 50th Birthday parties in its booths. We will have to wait and see what MINI has in store for the SF show. This is an Oxford, Ohio Halloween night booking photograph of University of Ohio student James Miller for DUI, underage drinking and driving the wrong way down a one way street. 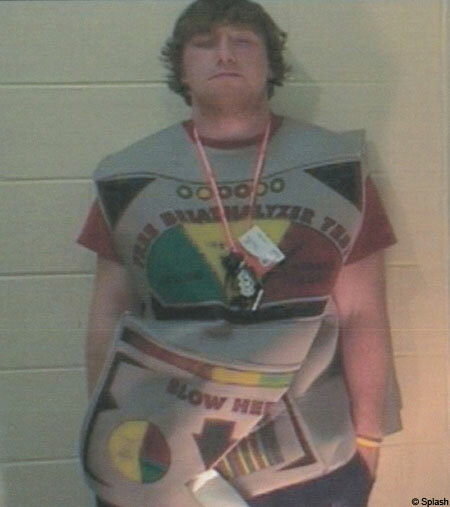 Notice that Mr. Miller is wearing a breathalyzer costume with a dial with three levels of drunkenness: Boring, Life of the Party, and Sotally Tober. No mention is made regarding to which level the dial was pointed. However, we suspect it was Sotally Tober. Faux MINI Ad - "It's On Fire"